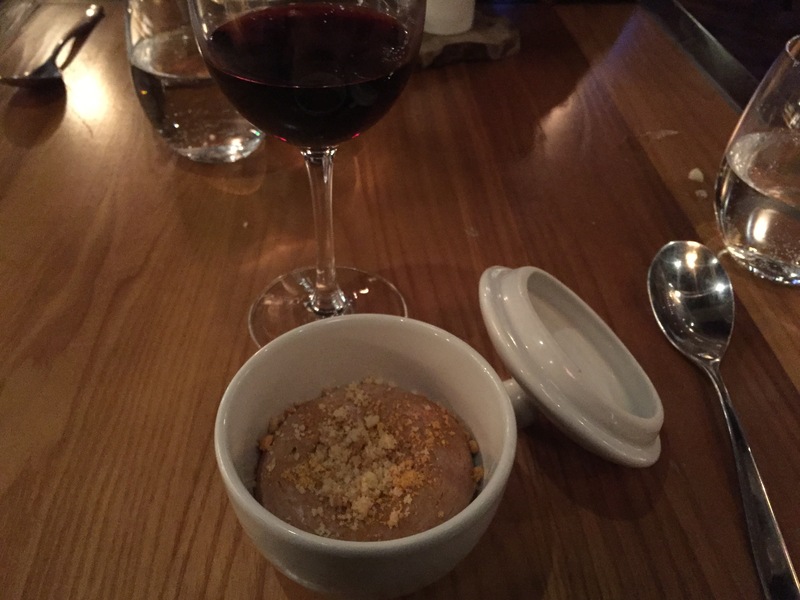 Last weekend, I visited Gordon Ramsay’s Heddon Street Kitchen for the second time. I saw an amazing offer in Time Out at the end of 2016 to use in January/February this year, so I thought what better way to beat the gloomy winter nights than with a date night with my boyfriend! 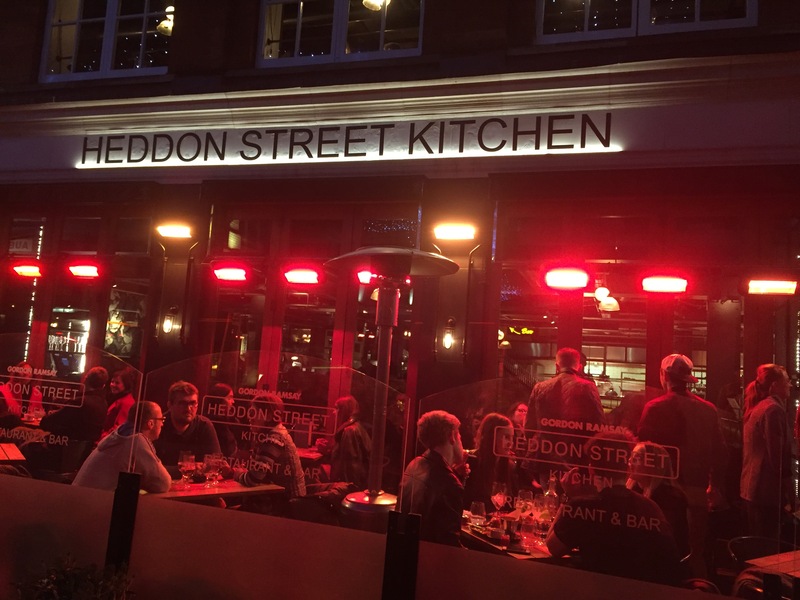 This gorgeous restaurant can be found tucked away on Heddon Street, just off Regent Street, by the Ice Bar and Strawberry Moons. The downstairs holds the main restaurant and bar and upstairs is the ‘ice-cream bar’. The decor has a contemporary New York feel to it which I LOVE (NY is one of my fav places in the world!). It has an industrial feel to it with exposed pipes and a copper/brown colour scheme. Our set menu came with a complimentary cocktail (which we didn’t know about, so was a pleasant surprise!) which was made with Prosecco, vodka and a raspberry juice which was a tasty way to kick start the meal! 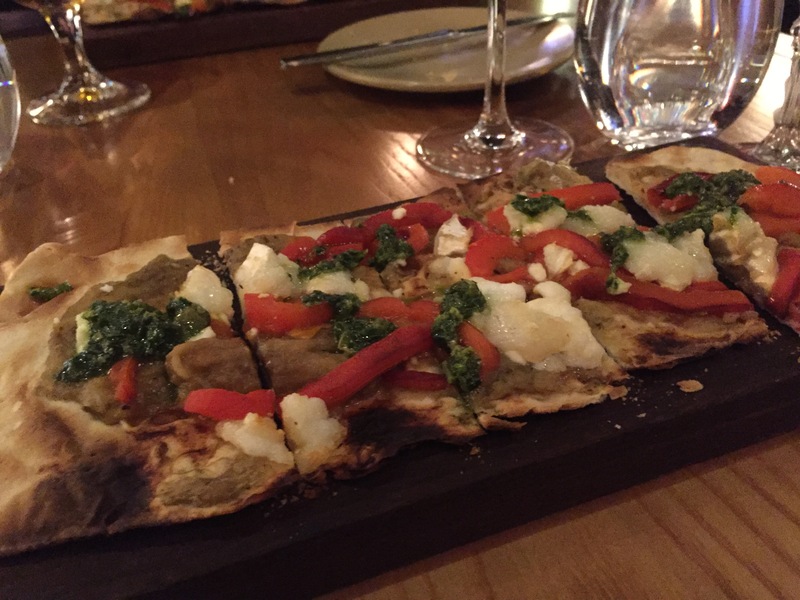 We both opted for the flatbread to start which was made with aubergine, red pepper, goats cheese and mint pesto. The flavours worked beautifully together and it was as delicious as I hoped! 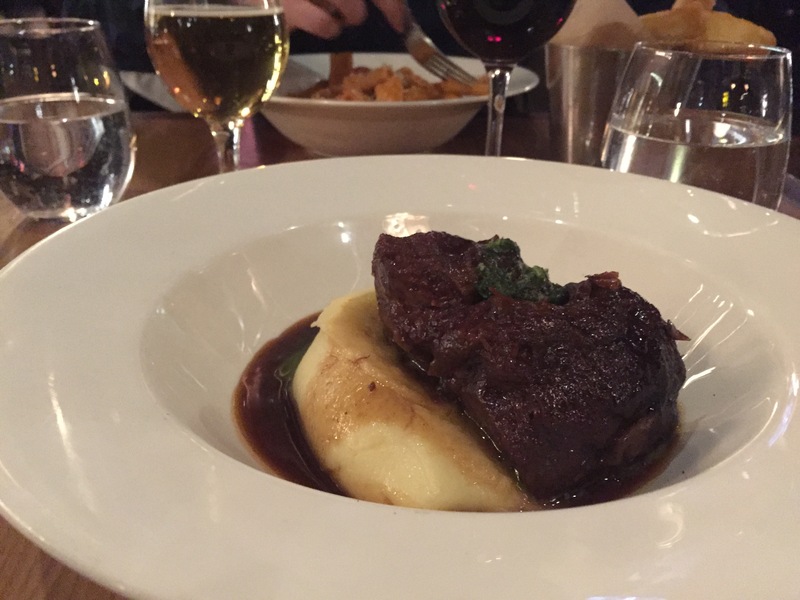 For my main course, I chose the braised beef shoulder with olive oil mash and parsley salsa verde. The meat literally melted in my mouth and the mash complimented it perfectly. I wasn’t overly keen on the parsley salsa verde but it was a small amount so it didn’t take over the gorgeous taste of the meat which was cooked to perfection! To finish off my meal, I couldn’t resist the caramel chocolate mousse with honeycomb. Oh my, this was good! It was a sweet tooth lover’s dream but wasn’t overly sickly. The honeycomb on top added a nice texture and crunch to the smooth mousse. I could definitely eat this dessert again and again! If you are planning to visit, I would advise booking as it does get very busy, particularly on the weekends. 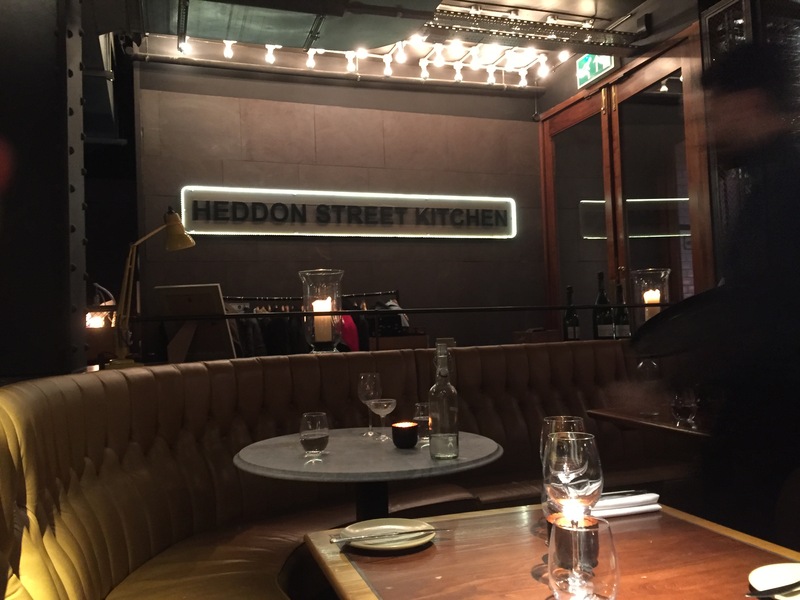 I thoroughly enjoyed my second visit to Heddon Street Kitchen and look forward to returning in the future (maybe for the breakfast menu as I couldn’t help eyeing it up! ).